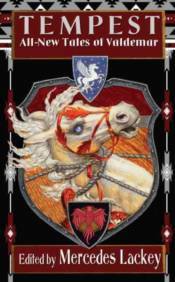 The Heralds of Valdemar are the kingdom�s ancient order of protectors. They are drawn from all across the land, from all walks of life, and at all ages�and all are Gifted with abilities beyond those of normal men and women. They are Mindspeakers, FarSeers, Empaths, ForeSeers, Firestarters, FarSpeakers, and more. These inborn talents�combined with training as emissaries, spies, judges, diplomats, scouts, counselors, warriors, and more�make them indispensable to their monarch and realm. Sought and Chosen by mysterious horse-like Companions, they are bonded for life to these telepathic, enigmatic creatures. The Heralds of Valdemar and their Companions ride circuit throughout the kingdom, protecting the peace and, when necessary, defending their land and monarch.